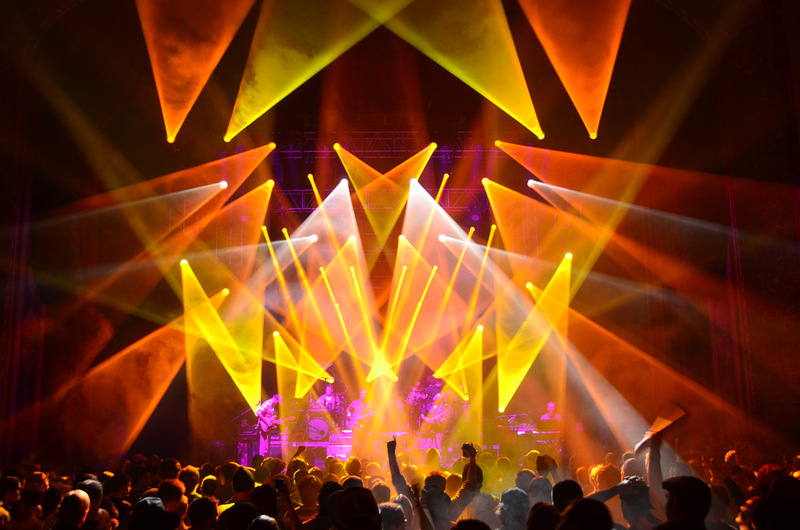 New U.S. production company ECTO Productions, based in Chicago, has recently made its first lighting purchase of exclusively Martin fixtures and is supplying Martin Professional’s MAC Viper Profile™ for the Umphrey’s McGee tour with lighting design by Jefferson Waful. The American jam band played a large variety of venues across the U.S. this fall from Austin City Limits to Red Rocks Amphitheatre to the newly renovated Capitol Theatre in Port Chester, NY. With such a diversity of load specs to deal with, fixture size and weight can be an issue. The 1000 W Viper, which comes in at 81 lbs (37 kg) and 29 in (73 cm), a design smaller than 1200 W fixtures, kicks out a 1200 W beating 26000 lumens of power. The core of the show is built up around Martin MAC III Profile™ fixtures located on the upstage truss and floor while the Vipers’ position changes depending on the venue but are typically mounted on a midstage or downstage truss with occasional use in the floor package.